Placing orders in December can be a little slower than normal given the increase of parcels for the Christmas period. To ensure you get your orders before Christmas, place your order before December 10th; orders placed after this date are not likely to arrive before Christmas. Don't forget December is the last month for the Holiday catalogue too. Alot of these products will not be carrying over to future catalogues so make sure you fill your wishlist before Santa arrives. 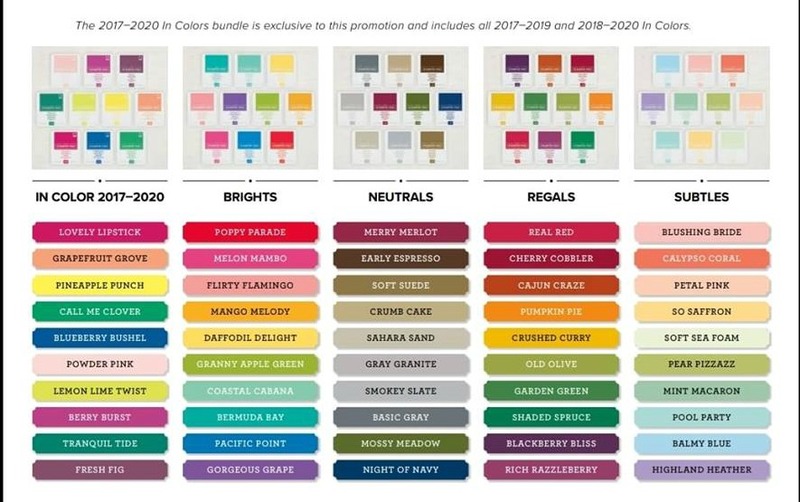 2019 OCCASIONS and SALE-A-BRATION CATALOGUES are coming soon!!! Be prepared for some of the most gorgeous products ever to be released. 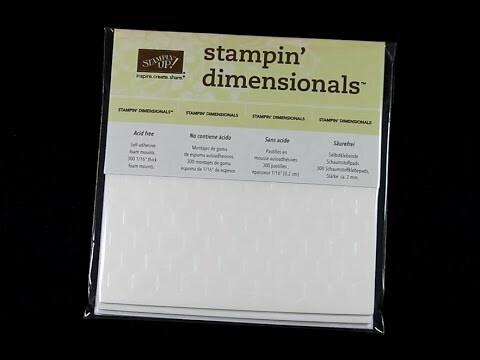 This catalogue is amazing and there is something for everyone, from the beginner stamper to casual or more avid stampers. What is Sale-a-Bration? To put it quite simply - it's FREE PRODUCTS!! Yes, you heard right!! For every $90 you spend in any current catalogue or in the Clearance Rack you get to choose a FREE product from the Sale-A-Bration brochure. Spend $90 and choose 1 level one item - spend $180 and choose 2 items and so on. 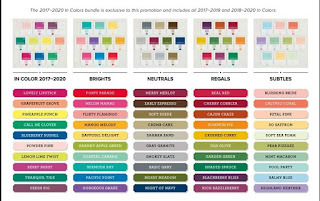 There is also a second level of earnings too - spend $180 and either choose 2 level one products OR 1 level two product. On 5 December, the Year-End Closeout will officially begin! During this promotion, you will be able to save on a selection of retiring and surplus items—while supplies last. Make sure to place their orders sooner rather than later, because supplies are limited and the Year-End Closeout ends on 2 January. After that, your favourite retiring items may be gone for good! Don't forget my NEW Customer Loyalty Program, where your purchases can earn you FREE products. Most of you would have received your cards by now....If you haven't placed an order recently and want to participate in my Loyalty Program, just place an order of $50 or more in the month of December and I will send you a card with a BONUS box already marked off for your order. If you have been thinking about becoming a Stampin' Up!® demonstrator - now is a great time to take the plunge. You will have a full 6 months to take advantage of your 20% demonstrator discount (minimum) which is a fantastic saving..... PLUS you get the see the new catalogues before anyone else - (NEW Occasions catalogue coming in DECEMBER), attend Stampin' Up! 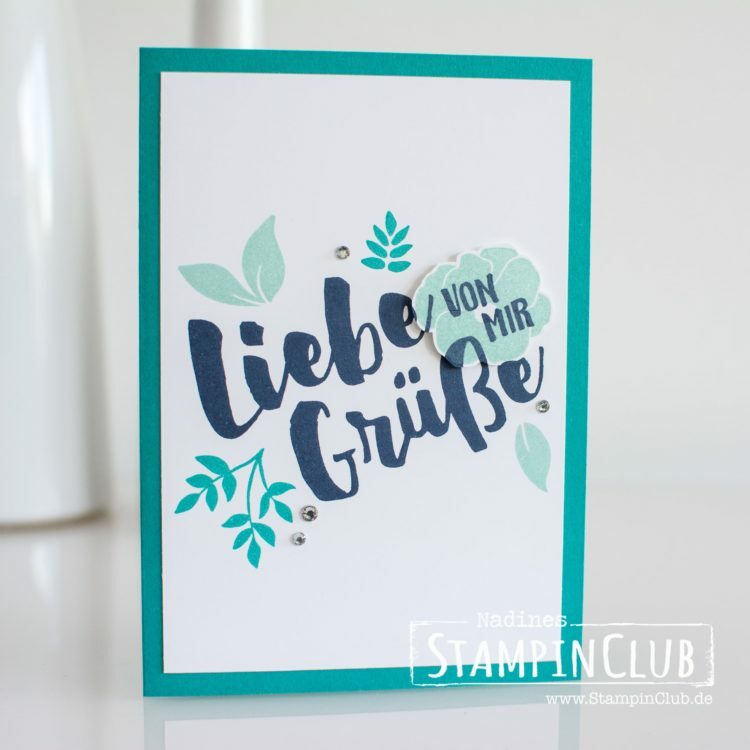 's demonstrator only Onstage events every 6 months AND be part of my amazing Stampin' Up!® Cut & Create Team. There's no lock in contracts and no minimums til April 2019. Why not take advantage of this fantastic offer and give Stampin' Up! a try? Stampin' Up! recently announced their Top Performers around the world and I am delighted to share with you my parent team The Crazy Crafters are the #1 team in Australia, with our Team Leader Kylie Bertucci taking out the #1 position in all categories. I am also very proud of my personal achievement, coming in at #24 overall in Australia. I couldn't have achieved this amazing result without my own team and my amazing customers and I thankyou so much for all your support throughout the last 12 months. So if you want to be apart of this amazing journey with the #1 team in Australia, JOIN my team today!! Gees, it's the end of June already....school holidays are here and I'm having a much needed break from work for two weeks! 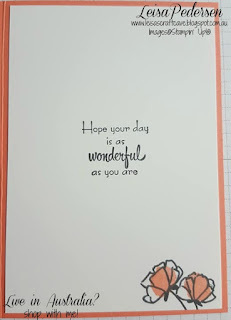 !There is so much happening with Stampin' Up!® in July so this might be a long read. Grab a cuppa and enjoy! I am really excited to announce my NEW Customer Loyalty Program that is starting on 1st July 2018, where your purchases can earn you FREE products. It works like this: 1. Make a purchase of $50 or more through my online store 2. Mark your Loyalty Card - one box for every $50 spend....3. When you card is full, return to me with your choice of products or stamp set(terms and conditions apply )I am sending out Loyalty Cards this week to those who have ordered with me in the last 3 months.If you haven't placed an order recently and want to participate in my Loyalty Program, just place an order of $50 or more between now and 30th June 2018 and I will send you a card with a BONUS box already marked off for your order. 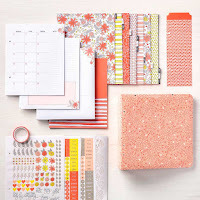 We know how much you loved our Designer Series Paper sale last year, so we are doing it again!!! The sale runs from 1st July - 31st July and is available with the paper suites listed below. Take advantage of this offer and stock up on Designer Series Paper and SAVE! 146289 Garden Impressions 6" x 6"
146916 Tropical Escape 6" x 6"
144177 Wood Textures 6" x 6"
This planner will help keep you on schedule and give you a creative outlet too! 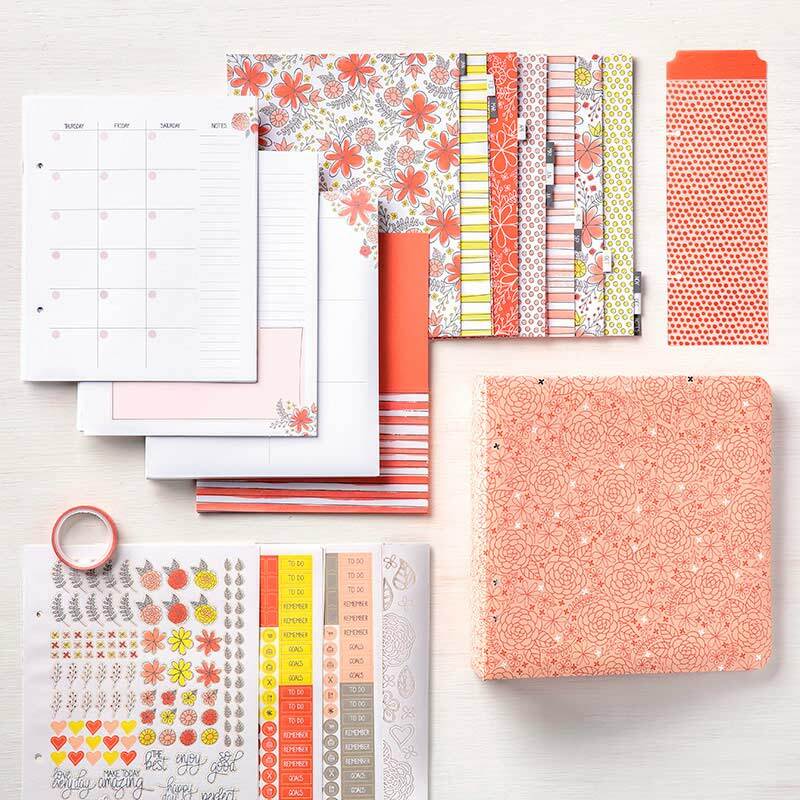 This all-inclusive kit has everything you need to create a customisable yearly planner. These are a huge help to keep track of all your appointments and events. So handy for Direct Sales Consultants, Teachers, busy Mums or anyone that needs to keep track of their schedules. Unlike other planners, there are NO dates are printed, so you can start when you want. Right now, for a limited time only, Stampin’ Up!® is offering a FREE colour family of Classic Stampin’ Pads to all new recruits. That's right!!!! FREE! Choose your colour family and get 10 free Stampin' Ink Pads in addition to your starter kit. 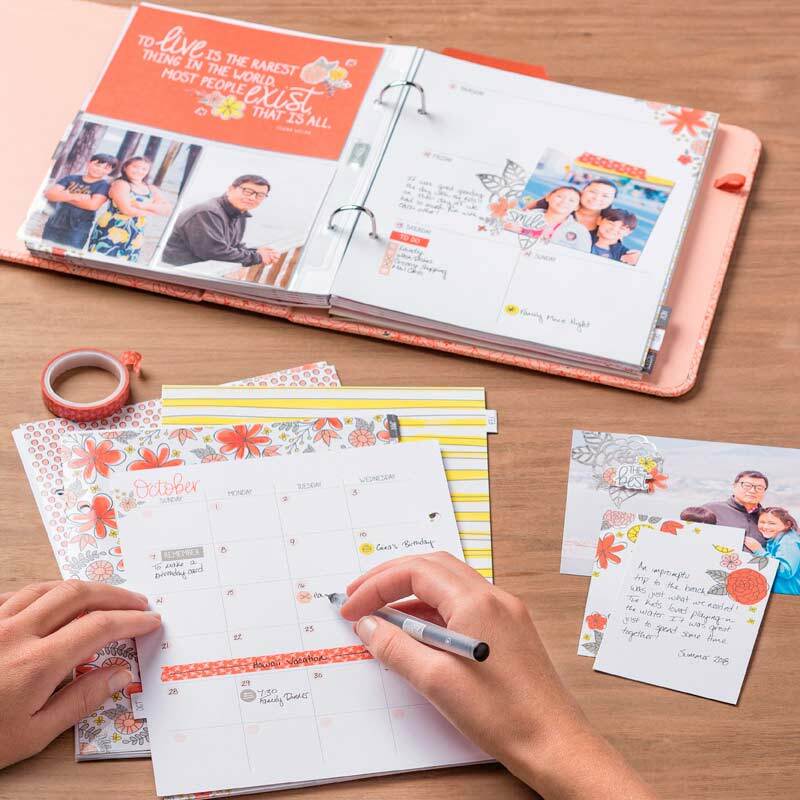 You get to choose $235 worth of products to make you your starter kit, whether you like stamps, inks, papers etc you pick what YOU want…..AND on top of this you also get to choose ONE Stampin' Pad Family (valued at $117 ) for FREE!!!!. That is a massive total of $352 worth of Stampin' Up!® products for just $169. With so many gorgeous colours it's hard to choose - so why not get as many as you can!! If you have a thing for inks, then choose TWO families as your starter kit items and add a 3rd for FREE - that is a massive 30 Stampin' Ink Pads for just $169 (normally $390 if purchased individually) a SAVING of over $220!! AND be part of my amazing Stampin' Up!® Cut & Create Team. There's no lock in contracts, no requirements to sell or hold parties, just buy for yourself and SAVE! Why not take advantage of this fantastic offer and give Stampin' Up! a try? If you don't want to continue (but why wouldn't you) you just don't place any orders and come back as a customer.....easy! Stay tuned for some more exciting things happening soon!! If you have any questions, or would like more information on any of the above, please contact me via phone, email, facebook or my contact me link above. Welcome to the Crazy Crafters Blog hop with special guest Nadine Weiner. Nadine is ranked number 11 in the world....that's an awesome achievement...Congrats Nadine!! You can see Nadine's creations at her blog Nadines Stampin Club. You may be joining our hop here with me, Leisa Pedersen or you may have come from the person previous to me. Where ever you started, don't miss a single post! There are so many talented demonstrators hopping with us toay. As Nadine is our special guest, our theme is to CASE (copy and selectively edit) any project she has created. Share What You Love Suite just released in an exclusive customer preorder until May 31st and teamed these with a retiring stamp set. 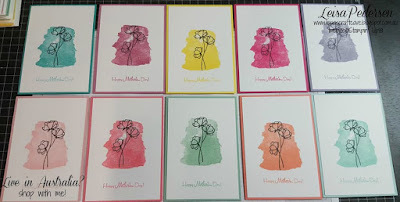 I used the Love What You Do Stamp Set (available in the Share What You Love bundles, more about this below) for the colour and floral images and the sentiments are from A Mother's Flair, which is retiring at the end of May. I carried the design to the inside of the card also. 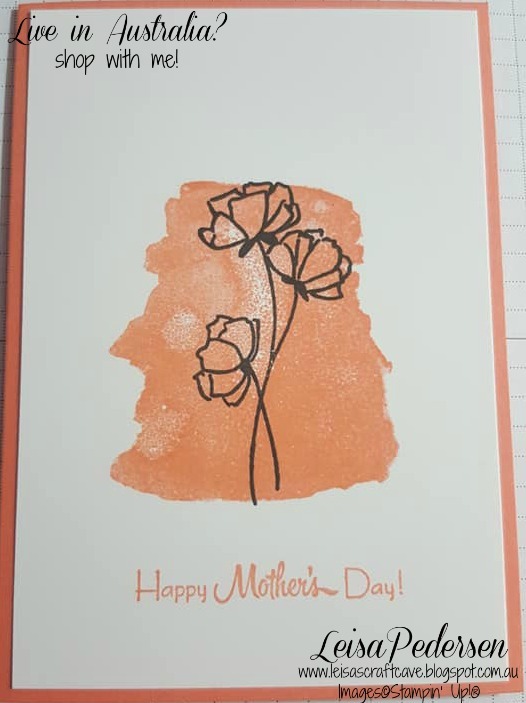 I often make cards and donate to my son's school for their fundraising stalls and Mother's Day is just around the corner. 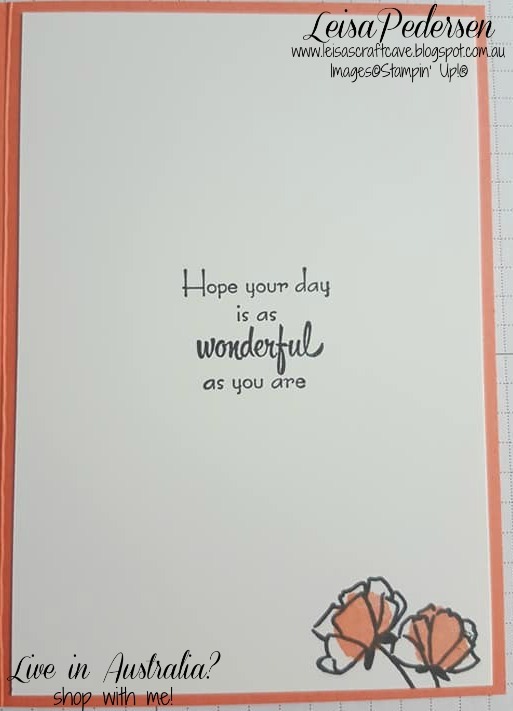 So I made 100 of this card in a range of colours and donated them to the school. If you live in Australia, you can shop with me anytime HERE. Use my monthly VIP code EVZGNA97 at checkout to receive a little thankyou gift from me. I hope you have enjoyed our hop so far. There are many amazing ideas to draw inspiration from so be sure to continue your journey by following the list below to see who's up next! !